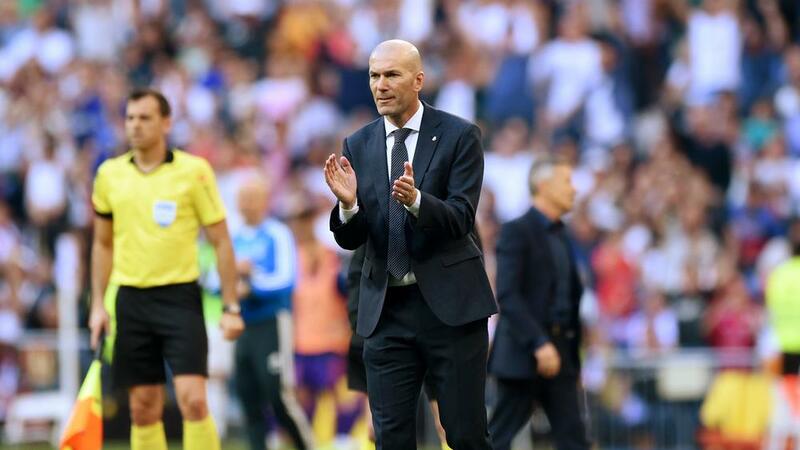 Zinedine Zidane reiterated that his Real Madrid squad have a clean slate as his second reign as head coach began with a 2-0 LaLiga win over Celta Vigo. Isco and Gareth Bale celebrated their recalls to the starting line-up with second-half goals, while Keylor Navas and Marcelo returned from exile to impress. Navas has been second choice for most of this season following Belgium goalkeeper Thibaut Courtois' arrival from Chelsea, while Sergio Reguilon had condemned a seemingly disinterested Marcelo to the bench towards the end of Santiago Solari's ill-fated tenure. "Nobody here, or anywhere, can take away what these players have done here. I have a squad of 23, 24, 25 players and will count on them all," said Zidane, who won three consecutive Champions Leagues with the bulk of his current squad before standing down at the end of last season. "Thibaut and Reguilon have done well until now, others too. But at the same time Keylor is very good, Marcelo too, Isco too. I must count on these players, as they are good players, but I will count on them all. "I just know the players they are, they have shown it before here. I am going to count on them. They showed that today, those who had played less - Keylor, Marcelo, Isco, Marco [Asensio] - all of them." "The feelings are positive. We got a good result in the end, it's what we were looking for, an important result," he added at a post-match news conference. "We did not start the game well, that is normal. We needed to have patience and the end of the first half was better. The second half much better. So, I am happy. "What I liked most of all was that we had more than 20 crosses, and in the end we got there and finished one off. That gives us chances to score goals, and we did."